Mostly gig previews again this time around…..
AAAK – We Fall Alone – The Collection – a recent remake/remix of this tune with additional vocals from Tamsin and guitar from Neil Rowbotham. Mr Heart – Boredom’s Device – The Hide EP – still not found a bass player since the departure of Kin, for a forthcoming gig one Ding will be the special guest bassist. Whipcord – I got ahead in my head my headlines I make – this lot are growing on me rapidly. The Taser Puppets – Slow Death By Karaoke – supporting The Blimp (see next) on a forthcoming mini-tour of the North-West. I know not a jot about them other than the singist is from Chorley – which is a fascinating place with many roundabouts. The Blimp – 50CC No Silencer – Curse Curse Bang Bang – one of the most exciting live bands around with a pop classic from their debut album. 8th October – Guzzlin Goose 115 Bentinck Street, Ashton under lyne, OL6 7SN…..with the Taser Puppets and Danny Cusick’s Kit B.
Vinny Peculiar – Judy Wood/Something or Nothing – a couple of session tracks from the mighty Vinny recorded on the Becs Marshall show. Both from the latest album which is rather marvellous. 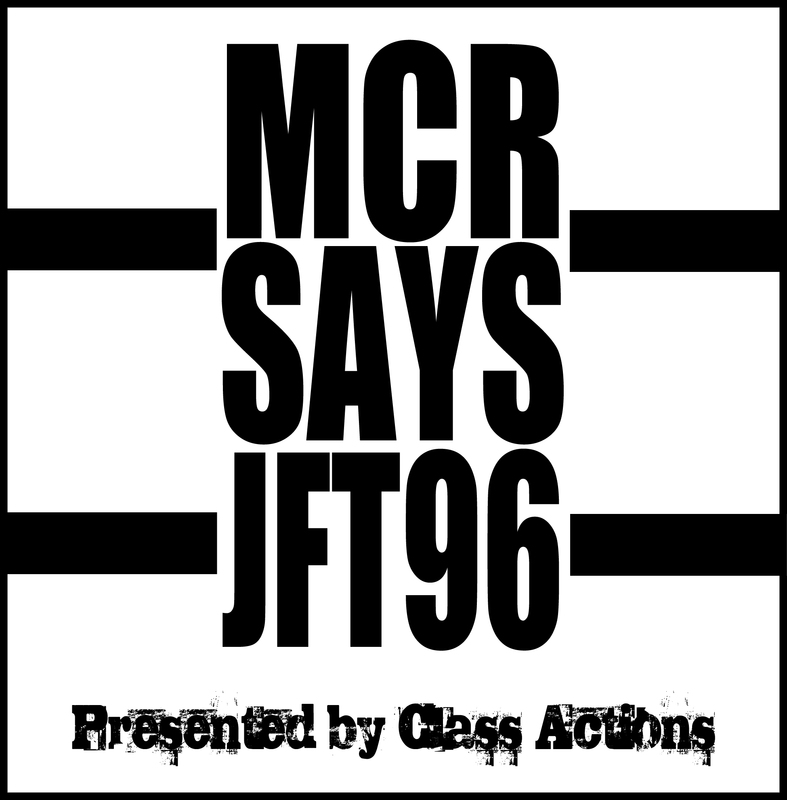 Class Actions – Hooligan Sound – Con Dem Killers Mixtape – a radio edit of the opening track from their free download mixtape from their site. Madpack – It’s Official – Swinton’s finest mashing it up and having a go at some deserving targets. Check them out at Islington Mill on 29th July at the next Helmets for Men extravanganza as are…. To listen then click that link………. 1 Mountains – Thousand Square Air Museum – is Brendon Anderegg and Koen Holtkamp, a Brooklyn duo that specializes in the kind of ultra-layered, birds-eye instrumental statements that often aim to match the scale of their name. “Thousand Square” hails from their forthcoming Air Museum LP (out May 10 via Thrill Jockey), an effort that finds them taking their earthen, largely acoustic take on soundscaping, and sending it through an array of pedals and modular synthesizers to craft a true “electronic” odyssey. Check it out here if you want to listen at your own leisure Mountains: “Thousand Square”. Why are you playing this on Salford Music Scene Robert? Ah well that’s because they are on at Islington Mill, tonight. 2 Death to the Strange – Closer – Demo : number two on the bill on Friday, and if they are as good as they were last Saturday at Islington Mill (Mayfest) you are in for a treat. Expect harmonies, a funky rhythm section, and Mr Sewells’s aural adventures. 3 Tangerine Dream – Cloudburst Flight – Force Majeure : they are playing at the Lowry at Saturday. It is not cheap mind so I thought I would play a track to compensate those who cannot afford it. As requested by my favourite Glaswegian band “We Are Creosote”. 4 Class Actions – Risking Everything – from the website : expect polemic ridden lyrics with a strong message across a backdrop of electronica. Also playing the Cuts gig. 5 Well North of Watford – Number One – Demo Track : another tune from Little Hulton’s newest singer-songwriter. 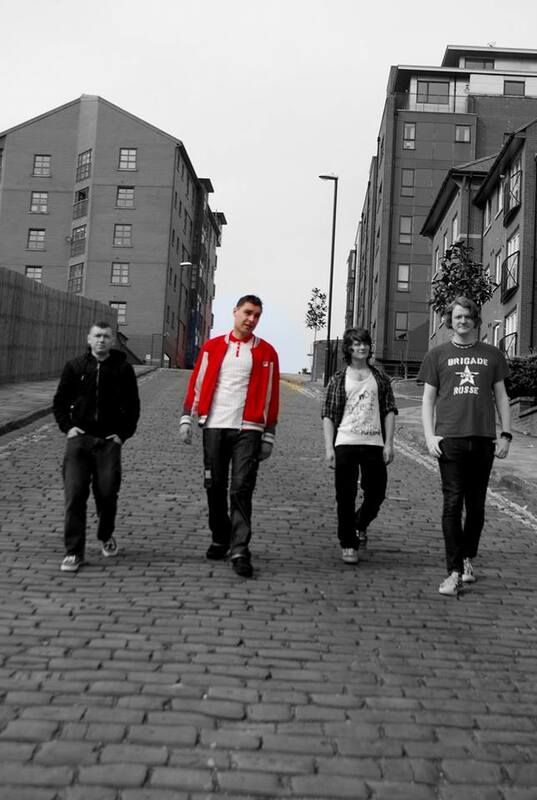 6 The Black Lights – Alone – In the Dark : Jamie McCool has one has one of the most memorable voices on the local scene at the moment – check out the EP and listen. If these guys don’t break through to the big time there ain’t no justice in the world. 7 Irma Vep -The Feeling Has Gone – via Tony T : Welsh born, Manchester based musician/dancer Edwin Stevens records and performs his solo material under the pseudonym Irma Vep along with sometime collaborator Dylan ‘DBO’ Hughes who both play in the popular nu-reggae group Klaus Kinski. Not sure who is going to turn up at the Cuts gig but someone will be there no doubt. 8 First Offence – Government Decides – via Tony T : a blast from the past – it seemed appropriate to play this. 9 Gods Gift – Another Government Day – Exclusive Track : God’s Gift are back after a 27 year absence with a reworking of an old number by Stephen Murphy especially produced to support the cuts gig. We are currently working out a way to get this out there to all the fans. 10 Trojan Horse – Laces and Racists – Trojan Horse : topping the bill at the Cuts gig the rather splendid and incredibly hirsute prog-meisters from sunny Eccles. If you have not got their album by now shame on you! Here is a recent interview. 11 Well North of Watford – Burst Right Out – Demo Track : another track from the troubadour out of the lands beyond Walkden. 12 The Fall – Mod Mock Goth – (We Wish You) A Protein Christmas : touring again and due in Manchester soon for a gig – any excuse to play them and of course our very own Ding is on the bass guitar on this one. To listen in click the link below…….